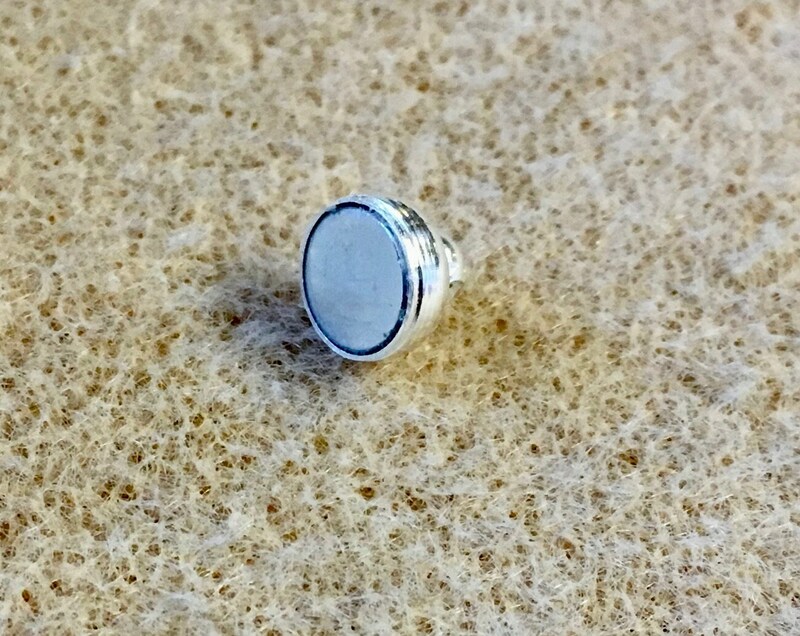 Silver Plated button style magnetic clasp. 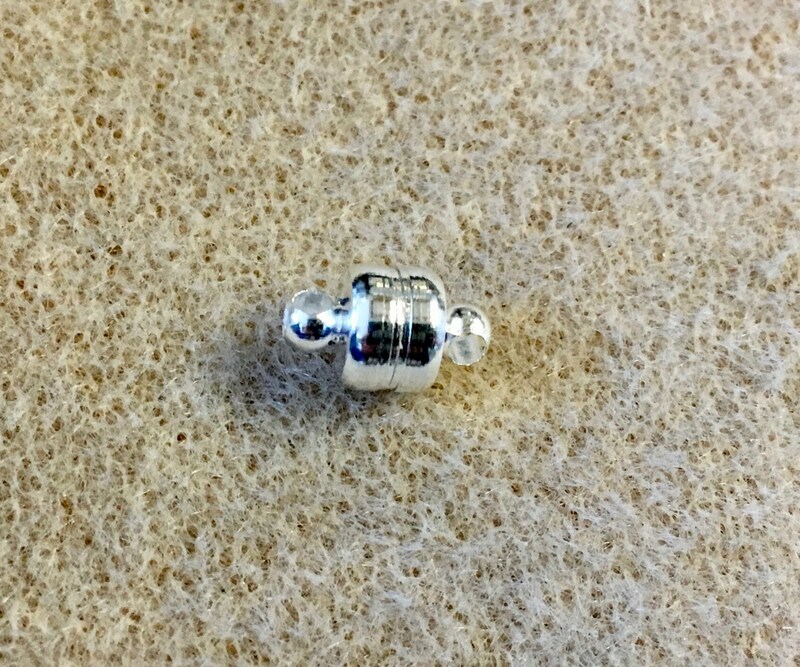 Magnetic Clasp measures 11mm long, ball measures 7mm x 5mm. This clasp is perfect for bracelets. Easy to attach with jump rings or string through loop in clasp! Strong enough to stay together, not like those low quality magnetic clasps! Nickel free, anti tarnish. No glue used in the assembly process. Made in the USA! 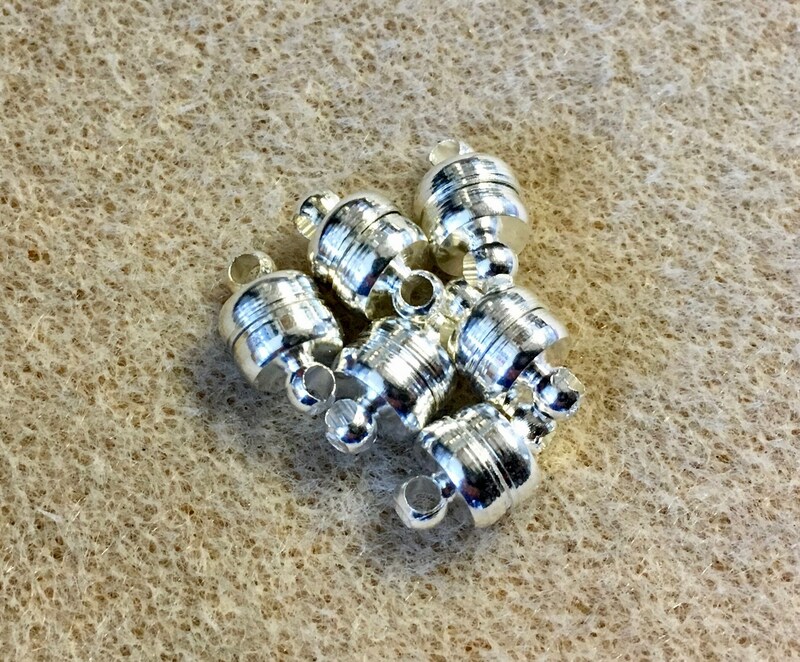 Magnetic clasps should not be used with a pacemaker! !